Kemppi Welding supply equipment for the most common types of arc welding; stick (MMA) welding, MIG/MAG welding (GMAW), and TIG welding (GTAW). Arc welding processes may be manual, semi-automatic, mechanised or automated. Kemppi Arc Welding can be used with any material that conducts electricty. Arc Welding is the most common joining technology in steel constructs in the world. Arc welding is a fabrication process that uses an electric arc, which is formed between the electrode and the workpiece, to join the metals being welded. The source of heat in arc welding is produced by the power source. When welding, filler metal is usually needed. Two types of filler metals commonly used in arc welding are welding rods and electrodes. Today, there are various arc welding processes which have their own applications. Kemppi Welding supply equipment for the most common types of arc welding; stick (MMA) welding, MIG/MAG welding (GMAW), and TIG welding (GTAW). Arc welding processes may be manual, semi-automatic, mechanised or automated. Kemppi Arc welding has a more concrete presence in our surroundings than you might at first think. It is used by ship, car, and train builders, machine manufacturers, steel frame builders, and pipe makers among others. Modern-day welding and its management are increasingly about digits managed via the cloud, the web, and software, and that's where Kemppi steps in, too. 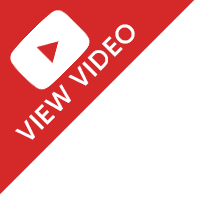 To find out more about Kemppi Cloud and Software innovations follow this link. 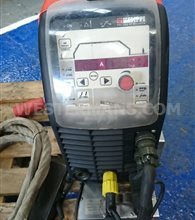 If purchasing a new Kemppi welding machine is out of your budget it imay be worth considering a pre-used Kemppi machine. 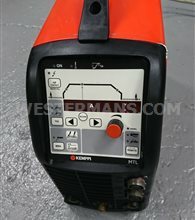 View the large stock of used and refurbished Kemppi welding machines above all sold with warranty. 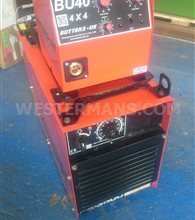 The MIG welding unit with diverse features and plenty of welding power, but still very lightweight. Easy to carry to the welding site and trouble-free to use. Efficient synergic MIG/MAG machine equipped with pulse and double pulse features for welding aluminum and other materials. A well-known MIG/MAG welding equipment product line representing all you need in welding: effortless usability, efficiency, and reliability. The MIG welding machine represents award-winning design and usability for every welder. Adaptive control and long cables make it easier to use than ever before. A tough and robust MIG/MAG machine for tacking and welding in demanding environments. 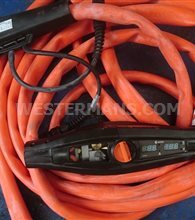 Lightweight and powerful equipment for basic MIG/MAG welding. The detachable wire feed unit provides reach and the digital display improves control. A series of first-class performance MIG/MAG welding machines that increase welding productivity through good reach and ease-of-use. A MIG/MAG welding device with extremely versatile features for industrial use. Synergic controls and an extensive range of welding programs make using the device easy and efficient. A modular welding system equipped with a digital control system for demanding professional MIG/MAG use. The Kemppi Pro Evolution system designed for automotive manufacture. Modular design with multiple power source and control panel options. 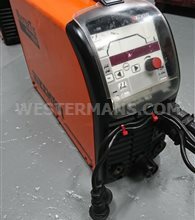 Professional MIG/MAG welding machines equipped with features that give the welder full control of the welding machine. A powerful TIG welding machine suitable for all types of materials, with many functions and several control panel options. A versatile line of products for the TIG welding of aluminium and stainless steel and for MMA welding. 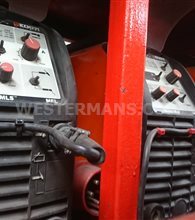 Suitable for both manual and mechanised welding. The marvel of the welding market. 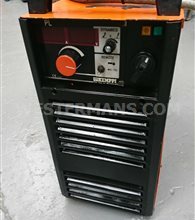 Small but effective machine, which includes all basic properties required in TIG and MMA welding–and even more in specially equipped MLP models. Diverse DC TIG welding. This product series offers devices of several power levels and a wide range of possibilities, and their sturdy construction can endure even the roughest handling. A detachable TIG ignition unit for professional use representing the well-known Kemppi Pro quality. Precise welding parameter control and a diverse selection of functions. 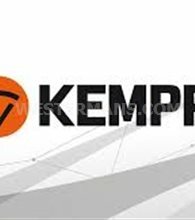 The multi-process power sources representing the well-known Kemppi Pro brand bring a professional feel to MMA welding. 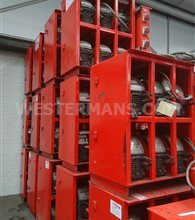 A powerful MMA welding machine for all electrode types. Excellent arc features and durable design. 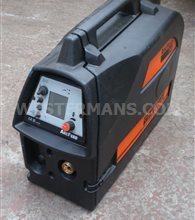 Strong and powerful welding inverter suitable for all types of MMA welding, but also for many other applications. The little giant of MMA welding that astounded the welding world. The Minarcs are known of their stable arc and easy controllability.